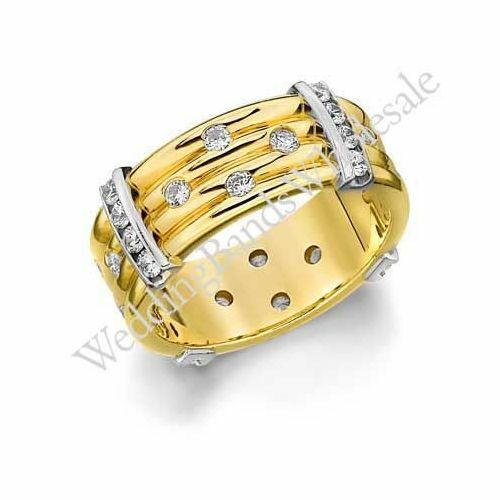 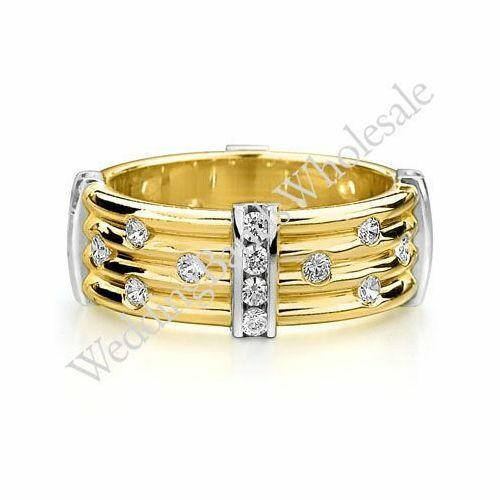 18K Gold 7.5mm Diamond Wedding Bands Rings 0914. 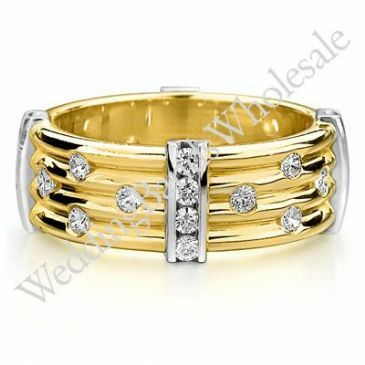 This 18k Gold Diamond Wedding Ring is 7.5mm wide. 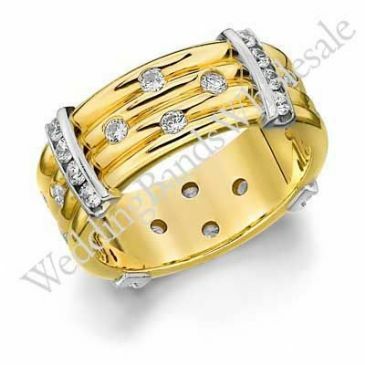 The band is rounded on the inside, creating a comfort fit for constant wear that will not pinch the skin and still slides easily on and off of the finger. 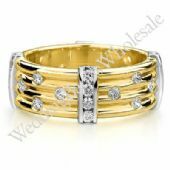 The ring is set with 32 Round Brilliant Cut Diamonds in raised channels, and in diamond shaped patterns on the surface of the ring.